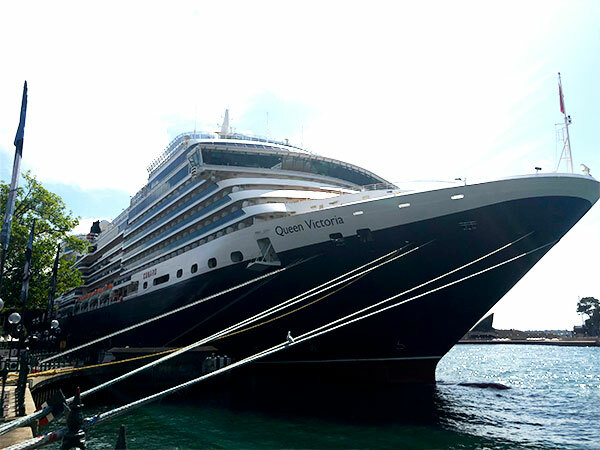 I recently had the opportunity to inspect Queen Victoria. Just like the sister ships, Queen Victoria remains traditional with its British Influences including private boxes in the main theatre area, and the traditional British Afternoon tea experience. 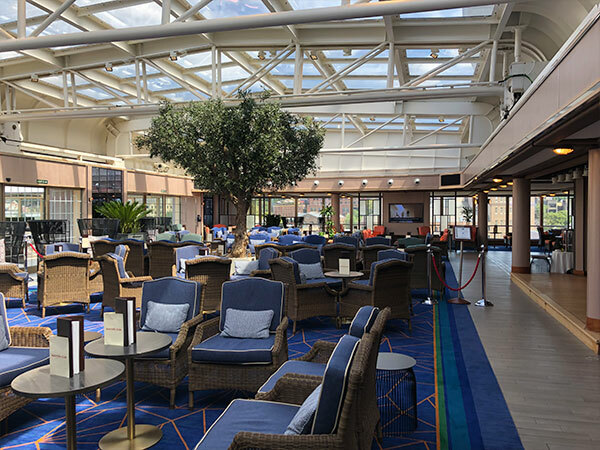 It is one of the ships designed similar to Queen Elizabeth and had its last refurbishment in 2017 increasing the number staterooms, enhanced winter garden and Chartroom look, and new outdoor pool area just to name a few. As you board you are greeted by the iconic Cunard staff dressed in the Red and Black attire directing guests to the nearby venue and assisting with stateroom location. 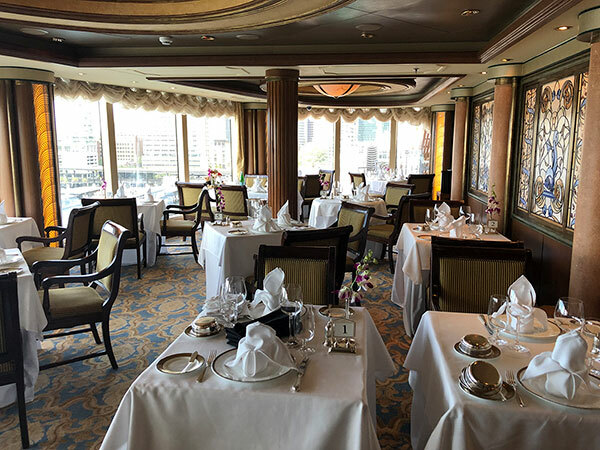 The décor on Queen Victoria remains classic elegance with traditional European impression. The ship was sailing at full capacity only allowing us to inspect the main public areas. 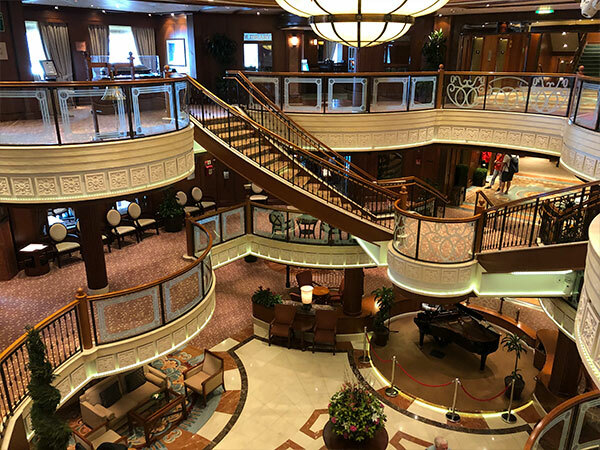 The Grand Lobby onboard offers access across three decks with the Speciality dining restaurant ‘The Veranda’, Reception and tour desk within walking distance. The Royal Court is the main theatre across three main decks. Here guests will experience a range of shows from Singers, Dancers, Broadway Style performance and even instrumentalist with the opportunity to watch from your own private box and each side of the theatre. As Cunard remains true to their British Influences, Queen Victoria and the other Queens have traditional Gala Balls. Here guests will enjoy nightly entertainment with glamorous themes such as Black and White Ball, Royal Ascot and even Masquerade Balls. This is generally held at the Queens Room located on Deck 2. During the inspection, we had a presentation outlining new information on the ship and Cunard brand. A new key point was Beverage Packages. Cunard offers new drink packages for their guests onboard. This consists of Soft Drink options from $10 pp/pd, Speciality hot drinks from $15 pp/pd, Beers, Wine & Spirits from $69 pp/pd. 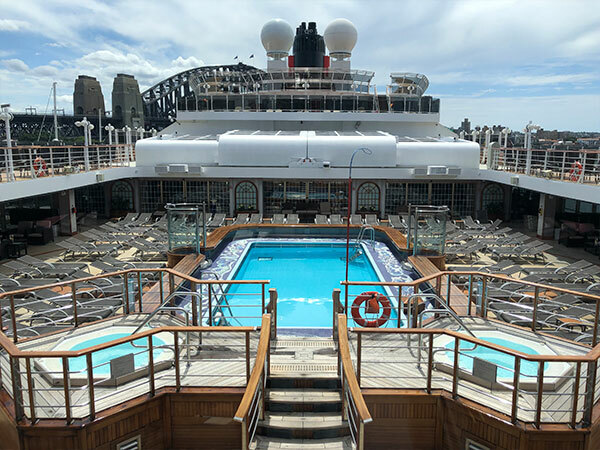 This is quite new as Cunard mainly focused more on Wine Collections from $299.00 – These packages are only available on voyages of five nights or more, and only for purchase on the first two days of the voyage. Upon conclusion of the Agents presentation, we were taken to the Britannia Restaurant for lunch. This is the main dining venue for guests travelling in Inside, Oceanview and Balcony. The Princess & Queens Suite guests have their own dining venue called Princess Grill & Queens Grill. 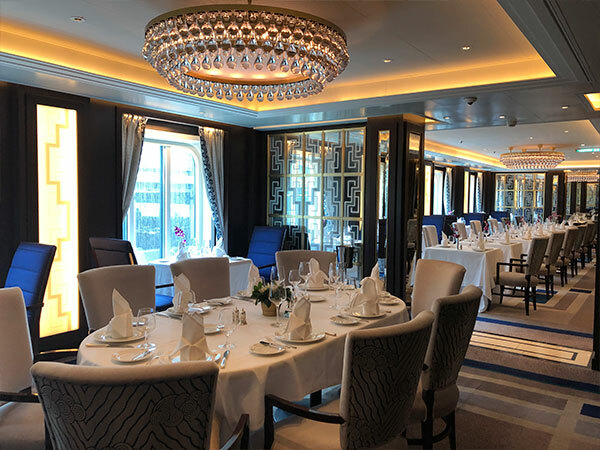 Here you have a more premium selection of meal options with a smaller intimate dining venue on each side of the ship. Queen Victoria remains a favourite with many of our clients and I can see why. This was a great ship to inspect, and can see why they hold their elegant reputation. 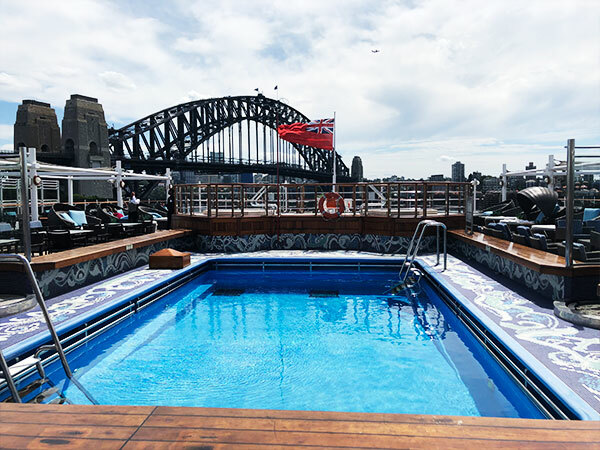 With the White Star Service and signature experiences, this is a ship for clients wanting to experience a traditional British ship with the elegance of balance.